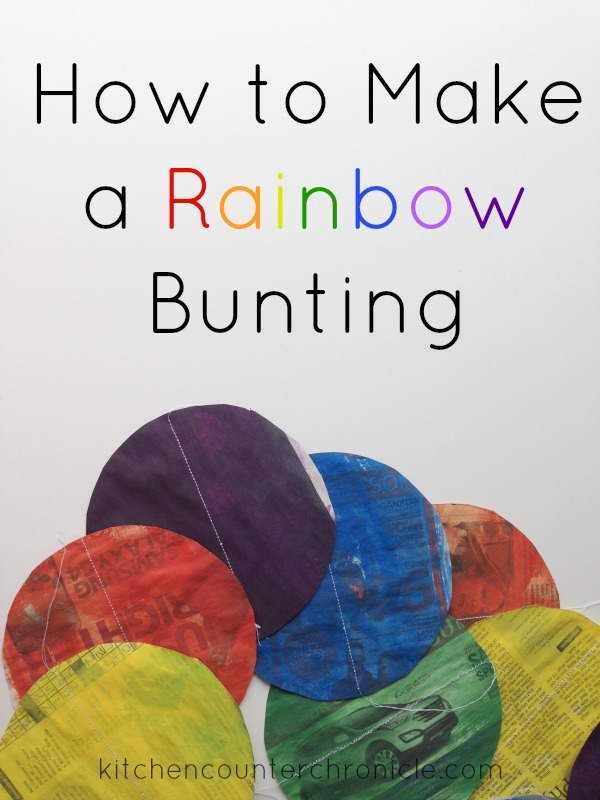 I am fully in love with rainbows right now and this rainbow bunting is just one more fun rainbow I am happy to welcome into our home. 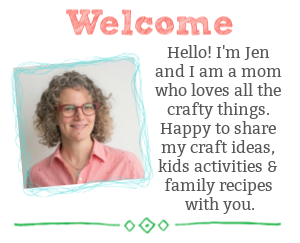 In preparation for my daughter’s birthday party I wanted to make a fun, springtime bunting. 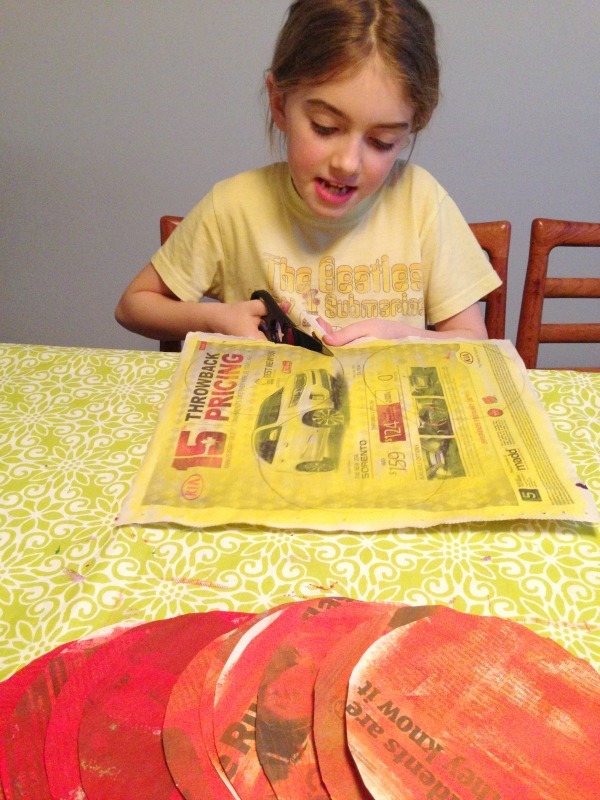 So, I recruited both of my daughters and we got to work turning an old newspaper into a beautiful rainbow. We started off painting both sides of newspaper the different colours of the rainbow. We allowed the sheets to dry between painting each side. 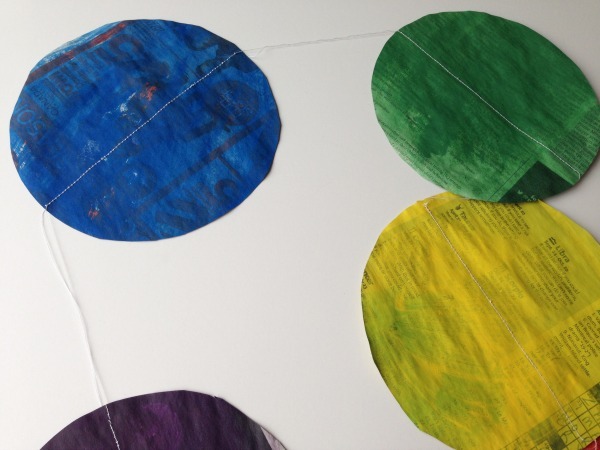 When the pages were completely dry, we then used a small bowl as a template for the circles. I traced the circles and my youngest daughter did the cutting. 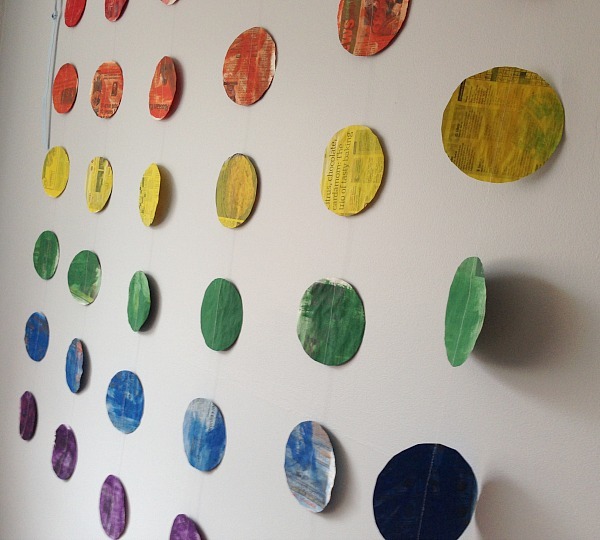 We then grouped the discs into rainbows…we made 6 rainbows total. I then moved over to the sewing machine to sew together our rainbows. 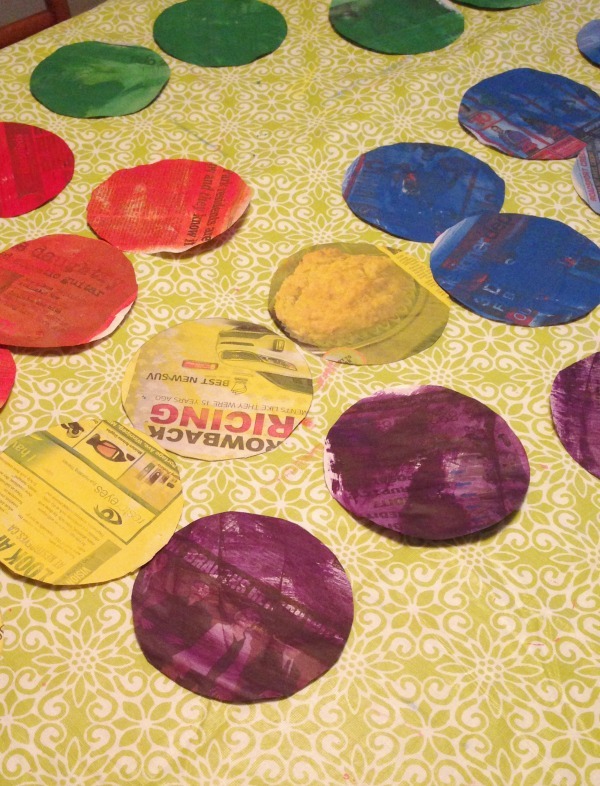 I sewed through the discs and left an equal amount of space between each disc (about 4″). I was able to keep an equal space between each disc by making a mark behind the sewing machine. The mark is where I placed the sewn disc…leaving an equal stretch of thread between each disc. To create the bunting we used light blue biased tape. I found the centre of the tape and then pinned each red disc (the top of each rainbow) evenly along the bias tape. Once pinned I proceeded to sew the discs in place. When all the sewing was complete I hung our rainbow bunting up in our living room. 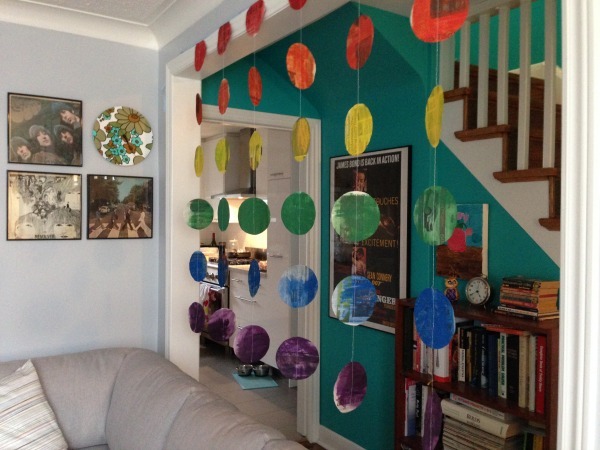 I spaced the rainbow discs about 4 inches apart, in total the bunting hangs down about 6 feet. 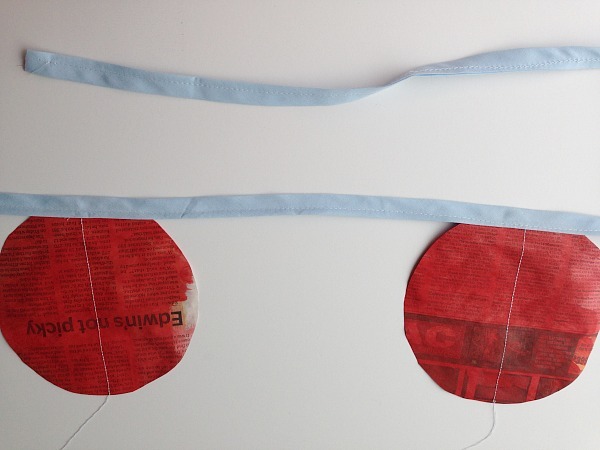 You can easily change the sizes and make this bunting fit your space. 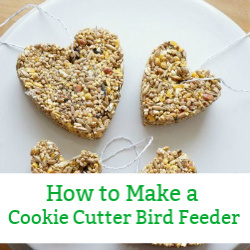 Use smaller discs, attach them closer together and they would hang beautifully in a window, doorway, along a wall or from the ceiling. I simply love how it turned out. A beautiful rainbow waterfall in our living room. Perfect for a little girls 8th birthday party! Looking for more rainbow fun? 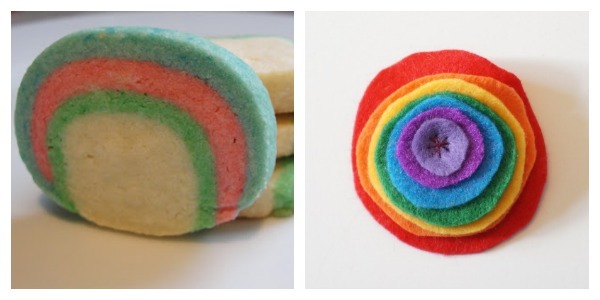 Check out our rainbow sugar cookie recipe and our rainbow felt brooch tutorial. Previous Post: « Are Litterbugs a Thing of the Past? You know what, I hadn’t thought of the Very Hungry Caterpillar, but you are absolutely right. Thanks for stopping by. 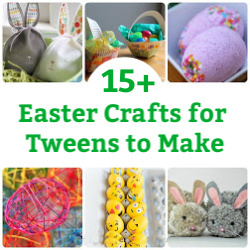 This is adorable in its simplicity and I can’t wait to make one with my daughter. Pinned!